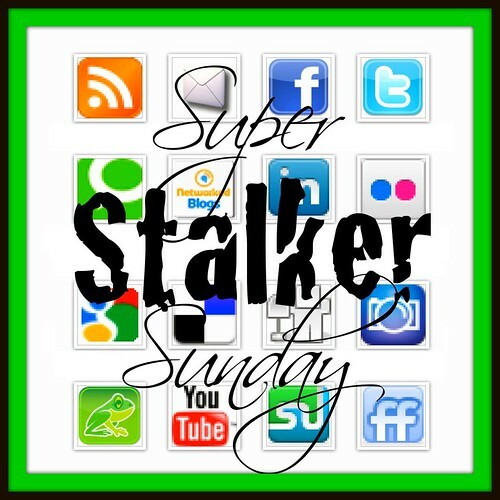 day to day MOMents: Super Stalker Sunday - Blog Hop! Super Stalker Sunday - Blog Hop! Hi everyone, I was randomly picked to be this weeks featured blogger for "Super Stalker Sunday Hop" for hopping around last Sunday, hope you join the hop! Thanks April, Emily, Mariah, and Bri! Welcome to this week’s Super Stalker Sunday hop! As you know, blogs hops are a great way to meet other bloggers, socialize and gain more followers. We created this hop as away for you to connect with other bloggers via RSS Feed, Google Friend Connect, Email Subscribers, Facebook Fans, Twitter Followers, and the new Google+! Follow each host at least one way. Remember to leave a comment, as hostesses we’re committed to returning the follows. But please be patient as we are busy mamas and it may take us a few days to return the visit and follow. You will only have to link up on one of the host sites and your link will appear on all as we use the same linky. After you follow the hosts and the featured blogger, follow at least the four blogs listed above you on the linky. If your time permits, follow as many other blogs are you are willing! Keep in mind that many bloggers have phased out GFC in recent weeks, so be sure you’re following everyone another way as well! Hali's favorite way to blog stalk is reading them and leaving comments everywhere! She also stays on top of blogs by using Facebook! If you would like to be a featured blogger, being shared with more than 32,000 combined followers between the hosts of this hop, please link up! At the end of each week we will select a blog via Random.Org to be the featured blog for the following week. The featured blogger will be emailed by Tuesday morning. Please be sure to check your spam folders! This linky will remain open until 3:00PM EST on Monday! Go ahead, stalk up a storm!